An investigation by the Guardian revealed Sunday that Fox News host Sean Hannity spent at least $90 million on more than 870 properties in seven states — including Vermont. 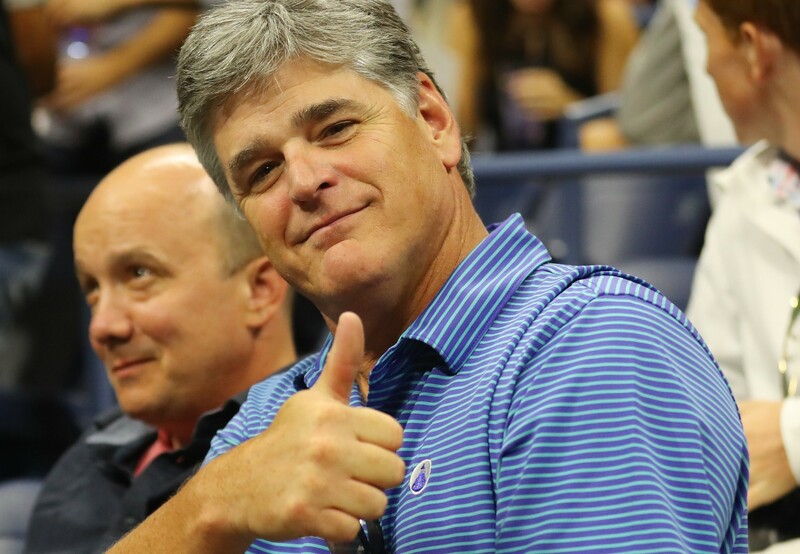 The story was sparked by the revelation in federal court last week that Hannity was a client of President Donald Trump's attorney and fixer, Michael Cohen, whose home and office were raided the week before by the Federal Bureau of Investigation. Speaking on Fox News after the court hearing, Hannity said his work with Cohen focused almost exclusively on real estate. "I hate the stock market," he said. "I prefer real estate. Michael knows real estate." Hannity loves real estate so much that he bought dozens of properties out of foreclosure over the past decade, according to the Guardian. Some of those were purchased with support from the U.S. Department of Housing and Urban Development — a fact that Hannity failed to disclose during an interview last June with HUD Secretary Ben Carson. So where, exactly, are the Fox News host's Vermont holdings? According to the Guardian, Hannity purchased the properties through more than 20 Georgia-based shell companies using various permutations of his children's initials. A statewide search of Vermont municipal grand lists for each combination yielded just one result: a three-unit condominium at Okemo Mountain Resort in Ludlow. The nearly 3,000-square-foot slope-side pad is owned by "SPMK III VT LLC," according to Ludlow town records. That entity is registered to a Kennesaw, Ga., address shared by Hannity's real estate attorney, Christopher Reeves. The LLC's registered agent, according to Georgia records, is Jeremy Lantz, who is Reeves' business partner. Attempts to reach Hannity, Reeves and Lantz were unsuccessful, though Hannity released a statement on his website Monday rebutting what he called the "latest fake news attack." In it, he defended his real estate investments, arguing that he never discussed them with HUD officials and that he was simply "putting my money to work in communities that otherwise struggle to receive support." The Fox News host's Okemo ownership wasn't exactly a state secret. "It isn't the one Hannity owns, is it?" Ludlow town lister Terry Thayne said Monday when asked about the property. "I always heard that Hannity had a unit up there. I never paid attention [to Hannity] until we got this clown in the White House." According to Thayne, SPMK bought the four-bedroom, four-bathroom property in the Bixby House condominium complex in December 2007, shortly after it was built in Okemo's Jackson Gore Village. The LLC paid nearly $2.2 million for the condo, according to Thayne. These days, it's worth just $906,900, he said. Given the property's depreciation, Thayne sounded unimpressed with Hannity's real estate savvy. "I hope he's smarter than this," the Ludlow lister said.